Learn about Atlantic City, New Jersey, by reading "Odds Are You'll Enjoy Atlantic City" by Charlie Spence, Aviation Writer. It features a mini, but thorough tour of the destination, plus all you'll need to know to plan your trip including getting there, objective information on places to stay and eat, and things to do. At the end of the article, we've provided a summary of the contact information for your easy reference. Enjoy! The impressive beachfront skyline of Atlantic City. If you have ever played Monopoly, you have been told 'Don't Pass Go. Go Directly to Jail.' Well, I'm suggesting you go directly to the place featured in that game - Atlantic City. Nearly 35 million people a year come here, making this one of the most visited places in the United States. And, it's no wonder. 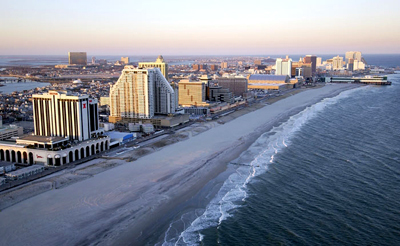 Atlantic City, New Jersey, has such a variety of attractions sure to please - no matter your age. Many visit often and find this true. In 1870, the famous Boardwalk was constructed. It was only about one mile long at that time. As the city grew, so too did the Boardwalk. Now it is four miles in length. 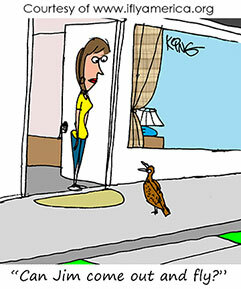 You will find shops, restaurants, food stands, casinos, amusement rides, and the entertaining pastime of people watching. Of course, a ride in one of the rolling chairs is a must. While being wheeled along to take in the sights, unwrap and enjoy your pieces of the famous salt-water taffy or let your mouth savor the famous cotton candy. At the corner of Boardwalk and Virginia Avenue you will find the Steel Pier. The Pier opened in 1898 and quickly became known for showcasing top entertainers. From the 20s through the 50s, any entertainer who was anybody played the Steel Pier. The big bands like Benny Goodman, Guy Lombardo, and Jimmy Dorsey played the Pier. Frank Sinatra, Charlie Chaplin, W.C. Fields, and Bob Hope are a few of the other stars that visitors and locals enjoyed at the Pier. This was once the place to see high diving horses. No longer do the horses with their attractive female riders dive into the Atlantic but you will find hand-painted historic scenes of the city and a custom carousel. Although the Pier, like most of Atlantic City, faded from its prominence, the current owners are counting on nostalgia to bring patrons back. Now you will find the rides, games and prize wheels, food court and other attractions to lure family visitors. After its heyday, which saw the Miss America pageant and other exciting and entertaining events, Atlantic City began to deteriorate. City leaders made a drastic decision and opened the area to gambling. This brought the big hotels and casinos - and the people. A vibrant new life sparked the area: casino gambling, plush hotels, spas, fine dining, nightlife, and world-class entertainment. The well-known hotels offer services from dinning to diving in pools and from betting to buying in fabulous stores - and everything in between. To gamble, a person must be at least 21 years of age. There is nightlife in the hotels and at outside locations, year round, day or night. To do more than try your luck at the variety of casinos, it would be wise to plan your trip in advance to take in the activities you want. There are so many from which to select. Taking a ride in a rolling chair is a popular activity along the famed Boardwalk. How about a day at sea? Select from day cruises, boat rentals, sailing adventures, or fishing expeditions. The Atlantic Ocean off the southern New Jersey coast and waters in Atlantic City's bays have a wide variety of fish from striped bass to tuna. Tour companies offer charter vessels, tours, dinner and cocktail cruises, private parties, and if you must keep the nose to the grindstone, corporate meetings. Maybe you would like your gaming in the evening and have the daylight hours for the fairways and greens. Some world-class courses are just minutes away. There are also courses where a novice or duffer can play at any level of ability and not be embarrassed. The Greater Atlantic City Golf Association will gladly provide information on most courses in the area as well as tee time reservations. At the corner of Rhode Island and Pacific Avenues visit the historic Absecon Lighthouse designed by Civil War General George Mead and built in 1857. Visitors with the stamina to climb the 228-steps will be rewarded with a spectacular view of the skyline and back bay area. There is no charge to visit the ground floor but a trip to the top costs $5 for adults, $4 for seniors, and $2 for children two to twelve. Atlantic City is the place for you to pamper yourself. Spas abound here with each seeming to vie with the other to provide the most complete facilities and attention. Most of the hotels have their own fitness centers offering pools, Jacuzzis, steam rooms, gyms, massages, pedicures, manicures, facials, and other 'be good to yourself' services. Similar facilities are available at specialty locations away from the hotels. Songs have been written about the place, motion pictures have featured it, spectacular events and pageants have started and flourished here. No wonder Atlantic City with its hotels, boardwalk, shops, and attractions, was chosen as the setting for the popular Monopoly game. The Atlantic City International Airport (ACY) is ten miles from the city. The FAA William J. Hughes Technical Center is located on the field so facilities are good. This is the national scientific base for testing and evaluating communications, air traffic control, airports, safety, security, systems and concepts. You can find lodging at various prices and at different locations. There are a dozen plush hotel/casinos including Trump Plaza, Caesars, Tropicana, Showboat, Trump Taj Mahal and others. Along the route into the city you can find more modestly priced accommodations such as facilities like Fairfield Inn, Best Western, Budget, and Comfort Inn. A number of excellent B&Bs are available. 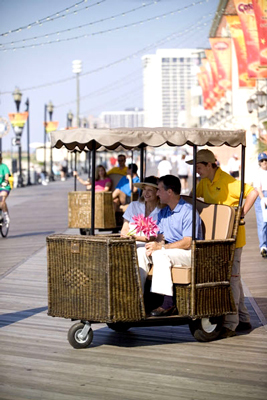 Many of the inns outside the city provide shuttle service to take you to the beach, Boardwalk, and casinos. You can check rates and book your dates through IFA's Online Travel Booking Service, found at www.iflyamerica.org. Significant hotel and car rental discounts may apply, plus you can also book vacation rental properties through this service. All the large hotels have various dining facilities and hundreds of other eating establishments are available ranging from Boardwalk burgers to ethnic eateries. Notice: This information is current as of September 2007. It is recommended that you contact the numbers, and/or visit the websites above to determine any changes to the information.